The true story of Dr. Blumenthal, a Jewish prisoner during WWII, who performs a life-saving surgery on the son of a Third Reich General, and the ensuing events spanning three generations that demonstrate the power of forgiveness. A cultural clash between an eclectic and diverse group of Christians, Jews and agnostics ignites during a No-Rooz celebration in Los Angeles, the ancient Persian New Year, when young Simon returns home enraged after his soccer game. An opposing team member, Rashid, bullied and insulted him, and then tore a treasured necklace from his neck, just because he’s Jewish. His grandfather, Benjamin, helps Simon curb his anger and his plans for revenge when he tells him the history behind the treasured necklace. Benjamin relates an experience he had to his grandson that taught him to forgive and caused him to realize that vengeance is never right. In 1964, Benjamin was a headstrong 19-year-old filmmaking student living in Sweden. His heart was stirred when he attended a Passover Seder and noticed that some of the guests had tattooed arms, inciting the horrors of their prior internments in Nazi concentration camps. Benjamin had an intense hatred toward Nazis and Germans for what they had done to his people 20 years earlier, but the prejudices he learned as a young Jewish boy growing up in a Muslim country were about to be seriously challenged. Benjamin’s anger was aroused when one of the guests seemed to make excuses for the atrocities of the Holocaust. He learned the man’s true identity and knew that he should have been tried at Nuremberg and executed. But the events that unfolded that evening and the history that Benjamin learned that night forever changed his life. On that profound night, Benjamin learned to forgive to a degree that few are capable of. Before the night was over, the man that Benjamin hated had convinced him to share his story with the world. He handed Benjamin his most treasured possession: the necklace that Benjamin would give to his grandson, Simon, many years later. Tears stream down Simon’s face as his grandpa finishes recounting the story behind the necklace that Rashid took from him earlier that day. Benjamin then challenges his grandson to earn Rashid’s friendship, regardless of the outcome. It isn’t long before young Simon faces Rashid’s soccer team once again. When Rashid sprains his ankle, Simon seizes the opportunity and helps him walk home when his other teammates wouldn’t. On their way home, Rashid returns the necklace to Simon, grateful for his new friend. Simon learns that forgiving an enemy is more powerful than vengeance. 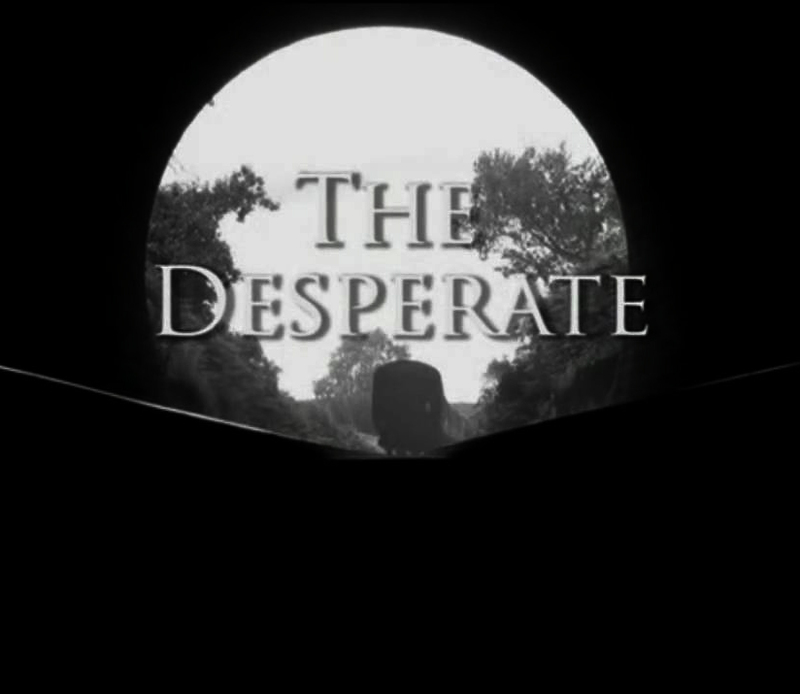 ’The Desperate’ short film won 67 international film awards and will be re-edited and incorporated as part of the feature film, ’Return to Destiny.’ The short film, ’The Desperate,’ is embedded above.